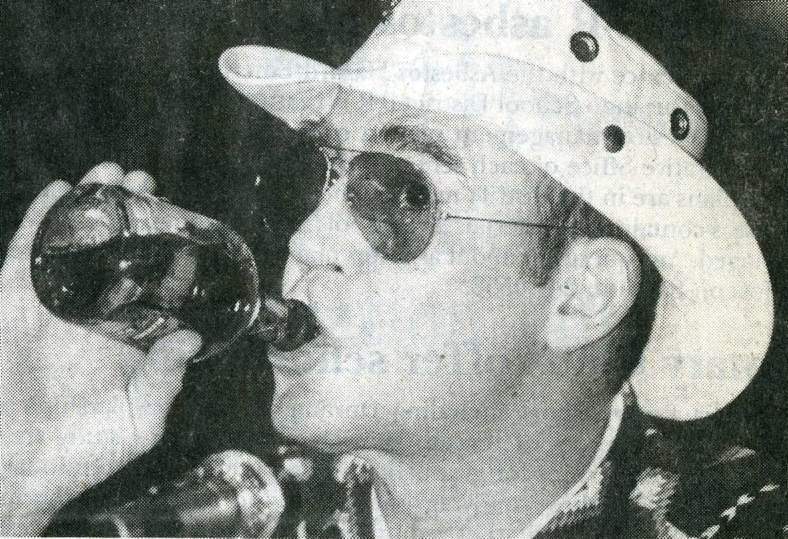 Gonzo journalist Hunter S. Thompson sips from a bottle of Chivas Regal scotch during his sold-out lecture April 5, 1991, at Fort Lewis College. A provision in Thompson’s contract allowing him to drink on stage sparked controversy after the city of Durango issued the journalist a special liquor license. Crew members working on a film about author and counterculturist Hunter S. Thompson’s run for Pitkin County sheriff are starting to arrive in Silverton, and filming is expected to start next week. Silverton will stand in for Aspen in the 1970s after several hotels in the area vied to be the filming location. Jay Bulger will play Hunter S. Thompson. Don Johnson and Susan Sarandon also will star in the movie. “They (the film’s production team) specifically had asked for a hotel that would look like the Hotel Jerome in the 1970s that is located in Aspen,” said Stephani Burditt, office manager for Region 9 Economic Development of Southwest Colorado, told The Durango Herald in December 2016. Ultimately, Silverton fit the bill. Hotel Jerome was a dive bar in Aspen in the ’70s, but it has undergone so many renovations over the years it no longer resembles the interior during the time Thompson lived in the area. 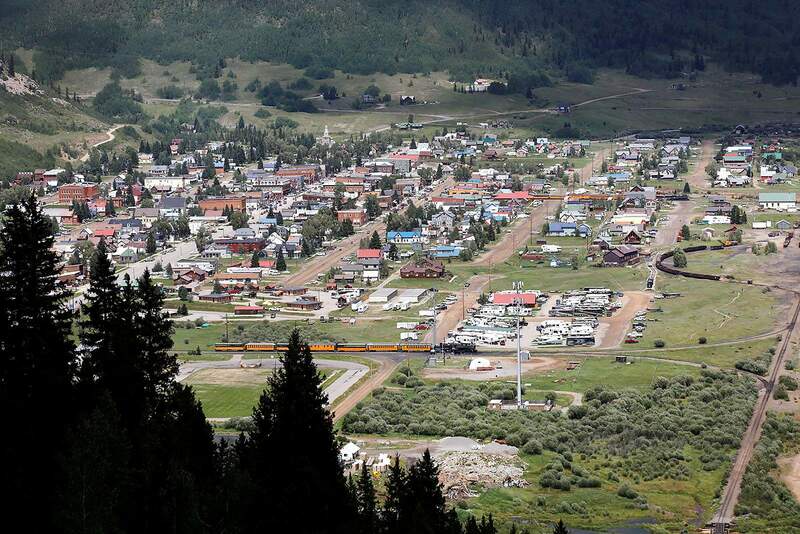 Silverton will be home to about 90 members of the film’s crew for about six weeks, said DeAnne Gallegos, executive director of the Silverton Area Chamber of Commerce. Director Bobby Kennedy III, grandson of the late Sen. Robert F. Kennedy, received a $300,000 rebate from Colorado’s Economic Development Commission to shoot the film. Kennedy settled on shooting in Silverton after interviewing those who knew Thompson, said Rebecca Bertot, costume designer for the film. Silverton has made a concerted effort to recruit films to help diversify the local economy, and it seems to be paying off, Gallegos said. It is the latest in a series of movies to be filmed in Silverton. Gallegos expects there will be many more because the town has so much to offer film crews. “We are still raw and real and true,” Gallegos said. The town offers great value for filmmakers because of its natural beauty, Bertot said. “You can shoot a movie with a smaller budget and make it look like you spent 10 times the amount,” she said. A movie about Hunter S. Thompson’s bid to be sheriff of Pitkin County in the 1970s will start filming in Silverton next week. But its remoteness also creates some challenges for the costume designer. Bertot has spent the last 2½ weeks chasing down props in local thrift stores. She found some needed items in the Silverton theater group’s storage container parked in the woods. One of the biggest challenges with any movie is finding uniforms from the correct era because law enforcement departments tend not to keep them. But for this film, Sheriff Bruce Conrad, who is working as a co-producer on the film, provided 1970s uniforms kept in the San Juan County Courthouse. “He has an eye for design and an eye for a vintage things,” Bertot said. There are some items, such as a medallion Thompson wore constantly, that might have to be made for the film, she said. Bertot moved to Silverton after working on a film last year. She said there is a lot of potential for the town to attract more films. “I am hoping this is the beginning of a trend,” she said. Familiar Silverton landmarks such as the American Legion, Grand Imperial Hotel, Silverton Town Hall and the San Juan County Courthouse may make appearances in “Freak Power,” Gallegos said. Familiar faces are also likely to pop up because the film is recruiting more than 100 extras, Bertot said. Those interested in appearing as an extra can email pcfreakpower@gmail.com and include a snapshot of themselves.